Tyler Williams (’11) is the Outreach Coordinator for the Heartland, Midwest, and Mountain regions, where he is responsible for advising and developing chapters, and chapter leaders. 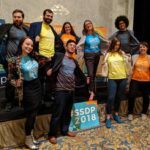 Tyler started his involvement with SSDP as a freshman at the University of Connecticut, and stayed heavily involved throughout his college career, serving first as the group’s CFO and subsequently as the President of the chapter. During his time, Tyler lobbied to help enact Connecticut’s medical marijuana program, lobbied against drug free school zones and mandatory minimums, and successfully ran a campaign that pushed the University of Connecticut Undergraduate Student Government to pass a statement of position in support of taxing and regulating marijuana in the state. Tyler also has a great deal of experience utilizing campus media. 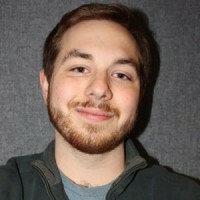 In his sophomore year, he served as editor-in-chief for The UConn Free Press, and worked at the campus radio station, 91.7FM WHUS all four years as both a music DJ and producer of UConn SSDP Radio, a weekly public affairs show dedicated to drug policy and student activism.